NEW cushioned footbed – as well as offering much more comfort underfoot, the footbed can be removed if necessary, making the slipper even deeper and roomier. NEW broader toe area – this means a much more comfortable fit for customers who have sore, swollen or hammer toes. What feedback have we had about the changes? 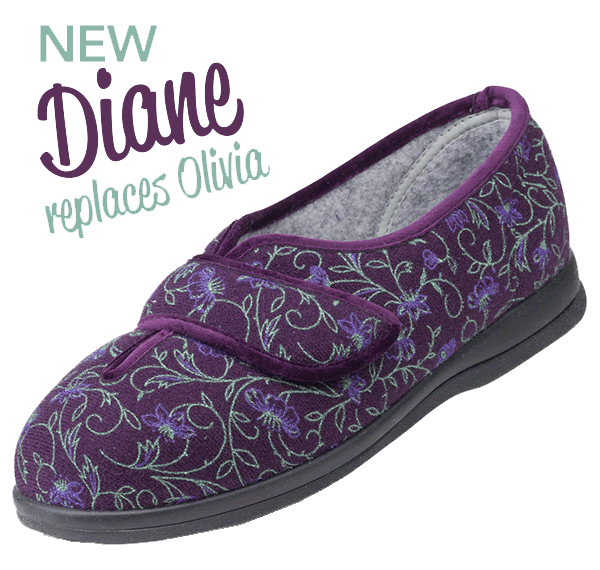 All our fit testers preferred the new style of slipper. Due to the ‘nature form’ shaping in the toe box it allowed their toes to sit flat and gave them more ‘wiggle room.’ They found the new cushioned footbed very comfortable and liked the fact that they could remove it if they needed more depth. We also sent samples to some of the Healthcare Professionals who recommend our products and the feedback was very positive. 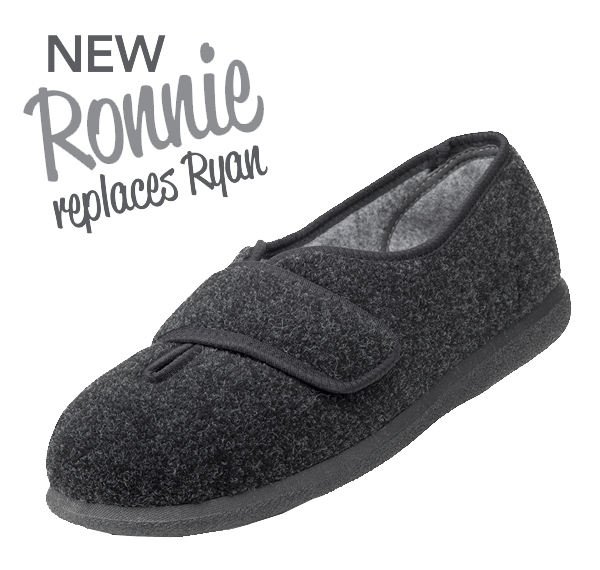 Which of our slippers have changed? All the styles shown below have the new comfort footbeds and roomier toe area. 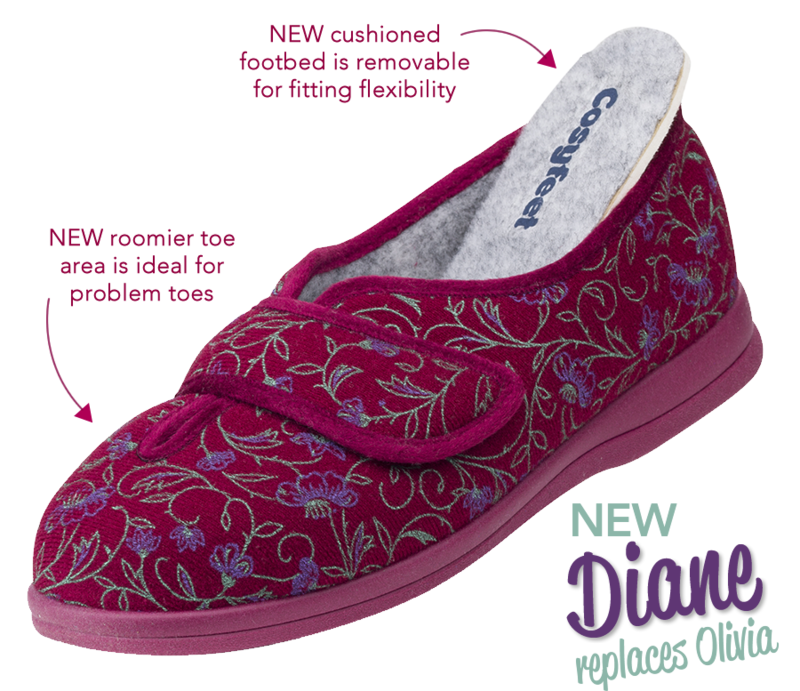 We will be updating other women’s slipper styles in 2017. A reminder about what makes our slippers so special! 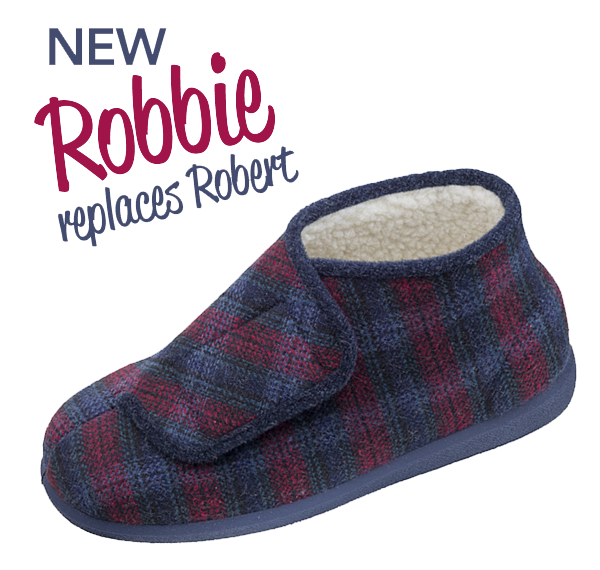 Unlike many slippers on the market, our extra roomy slippers offer good support and stability. That’s because they have a stiffener built into the heel. 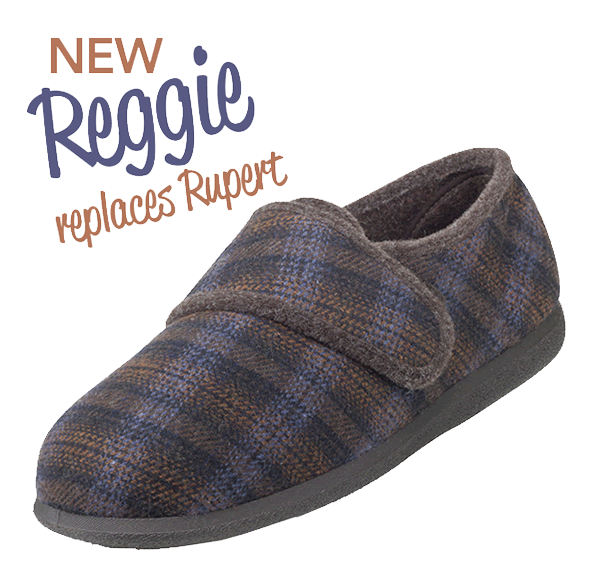 This provides shape and support, so they’re more like a house shoe, but they still have the comfort and softness you’d expect from a slipper. They also have a substantial sole which can be worn indoors and out.